45 year old fair complected woman desired softer, firm check, jawline area. 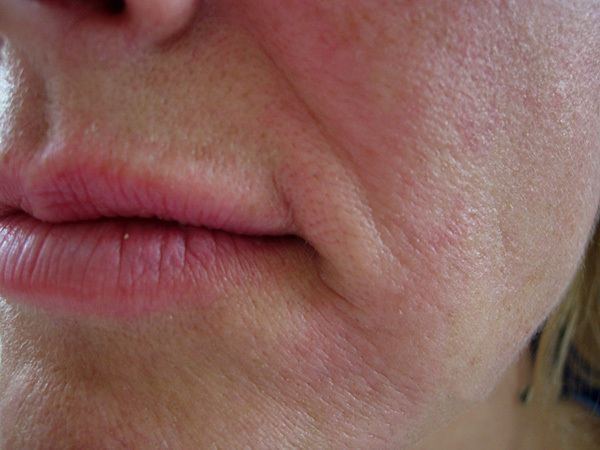 Dr Koo used Juvederm to create a natural soft look. The filler along with regular consistent Dr Koo Skin Health Method should last 12-24 months. With consistent skin care, Botox and fillers can be spread out much more cost effectively. Take care of your skin, repair then replenish the damage of the environment and regain an effortless beauty look! Our skin cells like the rest of our cellular bodily functions become less effective in creating new collagen and elastin. They become less efficient at fighting off the environmental toxins and UV damage. Dr Koo Skin Health Method with highly concentrated medical actives layered with effective essential oils and vitamins fights off the damaging aging process. Recreate the healthy skin of your youth!